Today is a super exciting day for me! 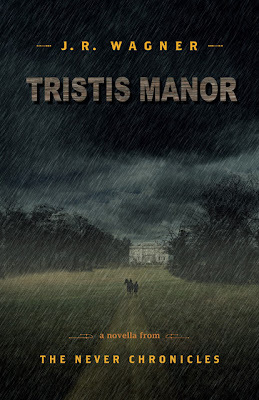 I get to show you the cover of J.R. Wagner's novella: Tristis Manor (A Never Chronicles Novella)! It's so gorgeous and I can't wait for this story! I am just loving this cover. Well, as promised, here is the cover for my upcoming novella. 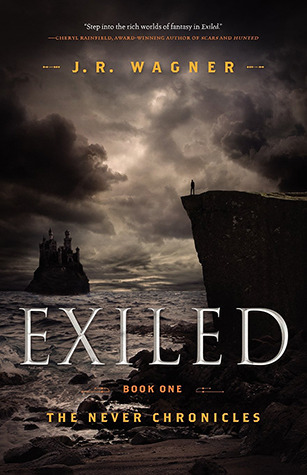 The main character (not to be spoiled who it is just yet) is one of the characters from Exiled. The story is about his/her past. I expect to release Tristis Manor in February if all goes according to plan. I'm very excited about this story for many reasons. One in particular is the genre stretches beyond fantasy. A synopsis will follow shortly. 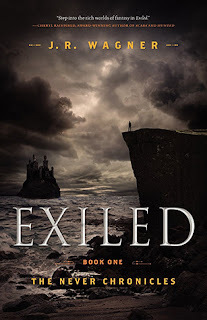 And have you not read his book Exiled (The Never Chronicles, #1)? Well, if you like Harry Potter and The Hobbit or Lord of the Rings, you are going to LOVE this book! I know you want to read this now, right? So why not go buy yourself a copy so you'll be ready in February when Tristis Manor is released? Thanks for sharing this, Brooke! You're awesome!